Skoodlez are the next generation of toys that inspire creativity, encourage literacy and ignite imaginations. Create stories about your Skoodlez, save and publish your stories for the community to vote on them. Email your stories to friends and family or print and enjoy. 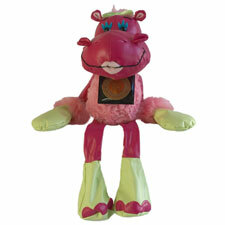 Skoodlez are soft, cuddly and can hang around with you. Have fun posing them in endless positions! Cupcake measures about 14" long and is recommended for children ages four and up.